Christopher Wong and Robert Woodie McClennon Jr., College of Agriculture and Human Sciences (CAHS) students, received accolades at the 29th Annual National Career Fair and Training Conference of the Society for Minorities in Agriculture, Natural Resources and Related Sciences (MANRRS) March 27-29 in Birmingham, AL. Wong won 1st Place and a $300 monetary award in the Undergraduate Research Poster Contest for his research on “The Effect of Heat Treatment on Oil Absorption of Agricultural Fibers.” He conducted his research as a Prairie View A&M University (PVAMU) Honors Program student during a 2013 summer research program at North Dakota State University. Wong is a sophomore agriculture major with a concentration in agronomy. McClennon won 2nd Place and a $200 monetary award in the Impromptu Public Speaking Contest for his discussion of the following question: “Across the country, some 23 million Americans live in inner city and rural locales where the scarcity of supermarkets drives people to convenience stores, pharmacies and fast food restaurants as their vendors of first resort. What programs should be implemented to promote broad based access to healthy food across different socio economic groups?” McClennon advanced to the national competition after winning 1st Place in the MANRRS Regional Competition in Austin, Texas, in October 2013. He is a senior agriculture major with a concentration in animal science. The two students were among eight PVAMU students attending the conference which included approximately 850 representatives from government, industry and higher education institutions around the United States. The 2015 MANRRS Conference will be hosted March 26-28 in Houston. 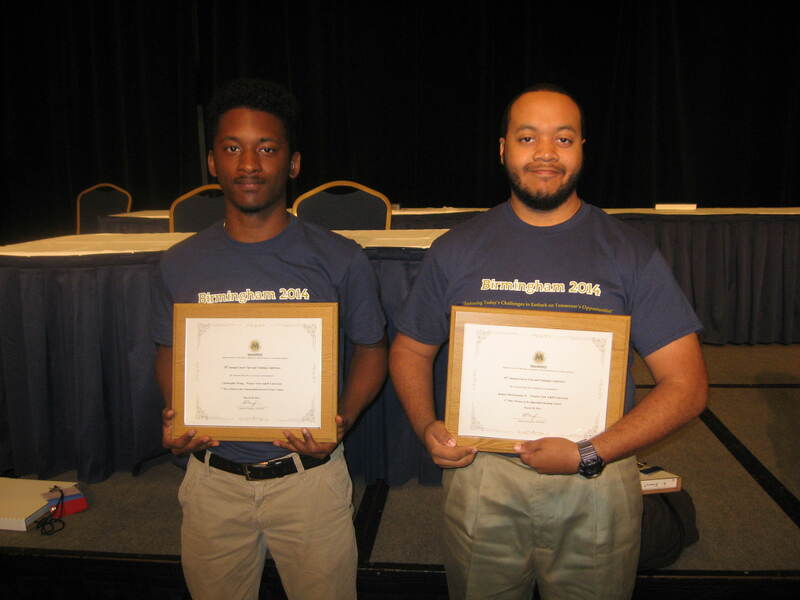 2014 MANRRS Contest Winners Christopher Wong, left, and Robert McClennon Jr., right. This entry was posted on Monday, April 7th, 2014 at 9:29 pm and is filed under Agriculture and Natural Resources, College of Agriculture and Human Sciences. You can follow any responses to this entry through the RSS 2.0 feed. You can leave a response, or trackback from your own site.